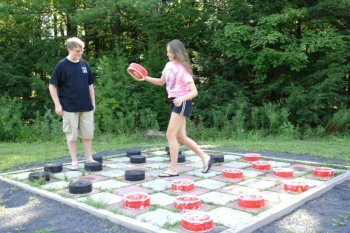 Giant checkers is a fun, challenging game for campers of all ages. Based on the classic board game, our giant checkerboard is the same ol' standard game, but with a fun and unique twist. Played on the ground for added fun, our giant checker set is ideal for kids, teens and adults.